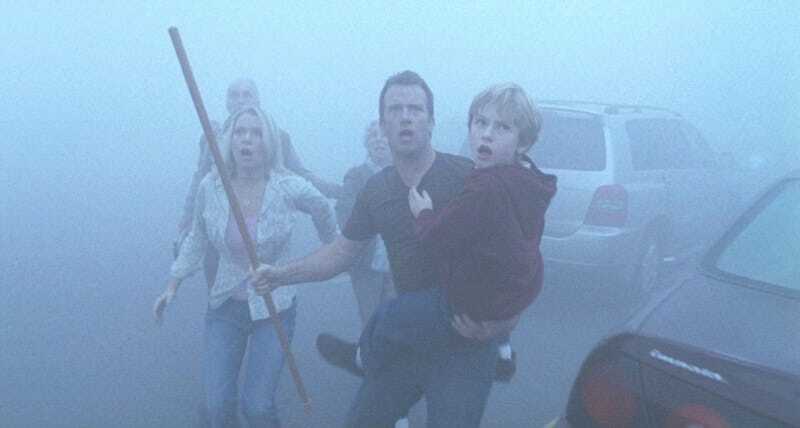 A scene from the 2007 big-screen adaptation of THE MIST. A TV series adaptation of Stephen King’s science fiction-horror novella The Mist has been in the works since at least September, and now there’s more news: it will be coming to Spike TV in 2017. Variety reports that the network ordered a pilot in February but ended up greenlighting 10 hourlong episodes of the series even before the pilot was completed. (Must’ve been a hell of a pitch.) The show will be produced by TWC-Dimension TV, which—via The Weinstein Company—also produced Frank Darabont’s 2007 feature film take on The Mist. That version was notable for adding a much darker (some might say “emotionally scarring”) ending to King’s original tale. Incidentally, Spike TV is also currently working on another adaptation aimed at genre fans: Kim Stanley Robinson’s science fiction classic Red Mars.